Belly button piercing involves some cost whether you are doing it at home or in the tattoo parlor. At home you will need money for the kit while in the parlor you have to pay for the services. To help you get the best services and value for your money, we discuss belly button piercing price, how much a belly button piercing costs in specific areas and shops as well as areas close to you where you can have your navel pierced. Most piercers will have a cost that is inclusive of the initial jewelry. The jewelry pieces vary in their monetary value depending on material, the designer and the type of jewelry. As such, your choice will have an effect on the overall cost. The location of the beauty shop you go to also has an effect on the price. Some areas will have costs that are higher than others. Places that have a high competition usually have competitive prices while areas without much competition are mostly costly. It is likely that larger cities and places with high population will be cheaper than those in rural areas and places with small population. Before you get your piercing, do your research. Other elements that come in on the cost of belly button piercing include the experience of the piercer and if they are professionals in the area. Registered piercers will tend to be a little more expensive than unregistered ones. Though you pay a higher price, these will operate in hygienic environs and are worth every cent spent. Other than these standard factors affecting the cost, there are other additional costs. A piercer could recommend some after care products for you. These may be specific brands which you will have to purchase. It is also considered standard to give a gratuity of between five and fifteen percent. All these factors will come into play in determining how much is a belly button piercing . Putting the above factors into consideration, how much do belly button piercings cost ? You can find piercers with a price range of $40-$100. 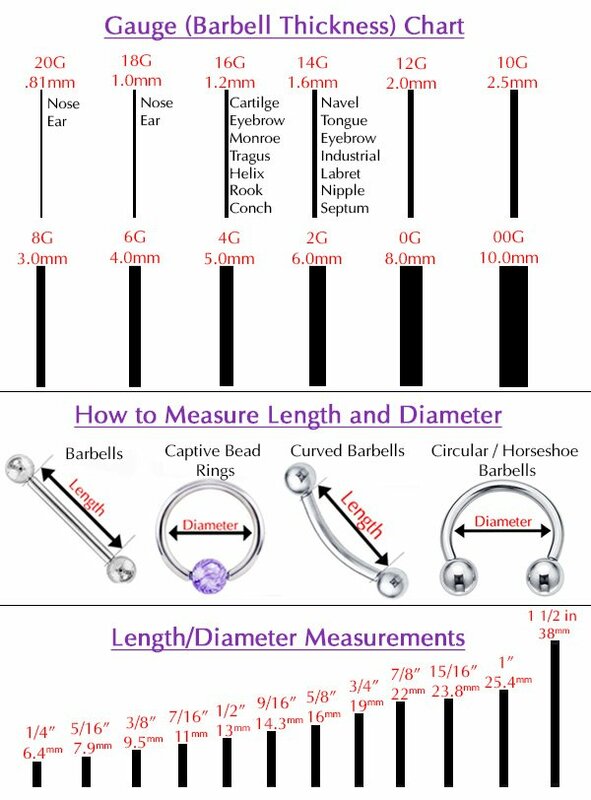 In case the piercer allows you to carry your own jewelry it is possible to get a piercing with $40 on average with the range being $25-$70. If you opt for a parlor with an online presence, they usually list their prices in their websites. You can check them out to ensure you are financially prepared. There also are sites where you can search the cost using suburb name or postal code. Like seen above, there is no universal answer to the question; how much does a belly button piercing cost? In this section, we will get into the details of different locations and various well known places to see what it will cost you. If you are in UK you can have your piercing for as little as £20 . At elementalpricing.co.uk piercing list, a navel piercing with a hoop will cost £25. In case you want to do it with a gem bar you could get it done at £30. On the other hand, seventhsun.co.uk will pierce you with a plain bar at £27. A bar with a crystal will cost you £30 while one with a double crystal will cost you £35. A gold titanium bar with double crystals goes for £40. At the Tribal Voice studios, your belly button piercing can be done at £22.99 – £29.99 per piercing using a bar. With £20-£40 you can get the navel piercing using your choice of initial jewelry. In case you were thinking of doing it at Claire’s , here is some bad news for you: They only do ear piercing. You can however shop some very nice navel piercing jewelry from them. Another group of well-known piercing shops that unfortunately do not do belly button piercing include at piercing Pagoda. In case you live in Florence Alabama , your piercing will . Fish Pig Tattoo and Body Piercings will charge you $30 while a belly button piercing during your visit in Las Vegas may cost you between $80 and $100. In case you want to have it done in shops that have already build their reputation, try having the piercing at Atomic Tattoos . These have widespread shops and can pierce you at a range of $35-$75. At Blue horseshoe it will cost you as little as $20 while the cost at Adrenaline Ink varies with location of their shops as they have a number of them. In case you are in Canada , you can have your piercing done at essential beauty . All their piercings are $45. Hairhouse Warehouse body piercings are another go to place. Since they are a franchise, their prices vary from store to store. How much is a Belly Button Piercing Kit? Other items to look out for when purchasing the kit include initial piercing barbells, a cleaning solution, sterile gloves, cotton balls and ink marker. Depending on the number of items involved, a piercing kit with five pieces could cost $5 while one with 15pieces can be bought at $10. The quality of the jewelry also affects the cost. Now that we have an idea of how much it will cost you to get pierced, what are the belly button piercing places and shops close by ? We researched a number of towns and states and different places near them where you can get pierced. These are as listed below. San Antonio : In case you live in San Antonio and are wondering what piercing places are near me , check Platinum tattoos and piercing, The Pagoda, Living Canvas and Monster Ink shops. Allentown PA : Art N Soul Studios, Quillian Tattooing and Piercing and Minds Eye Tattoo and Body Piercing studio are some of the places to check out in Allentown pa .
Michigan : There are a number of lovely places in Michigan where you can get your piercing done. Try Detroit Tattoo, Elite Ink Tattoos Studio or Brightmore Tattoos. New Jersey : In New Jersey Pleasurable Piercings, Immortal Ink and Altered art, Tattoo and Piercing are your go to places. Virginia Beach: Have your piercing done at Virginia Beach Ink Tattoo and Piercing Studio, Ocean Mystique Ink Gallery or Finders Keepers Body Piercing are where to get belly button pierced in Virginia BEA . Georgia : Inksomnia Tattoo Studio, Virtue and Vice Body Piercing and Cosmetic Tattooing, Creative Minds Tattoo and Body Piercing are the answers to the question where can I get my belly button pierced in Georgia ? Apart from the above places, there also are various belly button piercing shops near you. Some of these are franchises with widespread shops. Some of these provide piercing services while others sell navel jewelry. In Aurora CO , Piercing Pagoda Services, House of Ink Tattoo Services, Art with Heart Tattoo, Freaky’s Tattoo and Body Services are some great shops. Hammer Smith Tattoo, Seventh Sun Body Piercing, Extreme Needles Tattoos and Piercings as well as Flux Piercing Studio are some of the shops that can be found in London . Some of the shops in Birmingham include Cloud Nine Southside Tattoo & Body Piercing Studio, Evolutionary Skin Body Piercing, Piercing Emporium & Tattoo and Modern Body Art while those in Stockport include Tony’s Piercing Shop, White Dragon Studios and Skin Art Tattoo and Body Piercing Studio. Seymour IN boasts of Mystic Ink Tattoo, Elixir Tattoo Studio and Body Language Tattoo shop. Eugene Tattoo and Body Piercing Company, High Priestess Piercing and Tattoos and Piercing Emporium and Tattoo are some shops with presence in Eugene OR . In Denton TX you can try Aces Tattoos, Infinity 13 Studios, Body Piercing Central as well as Royal 1 Tattoos and Body Piercing. To pierce or shop for the belly button in IN Silverdale , try Lucky Boys Tattoo Parlor, Golden Rule Body Piercing, Body Piercing Central, and Aperture Body Arts Studio. You could also check out Deep Roots Tattos and Body Piercing, Ink it Up Tattoo in Woodinville WA . Apart from these specific shops, there also are trustworthy online shops from where you can purchase jewelry.